*These bathroom starter sets are an easy and convenient way to style your bathroom all in one purchase. 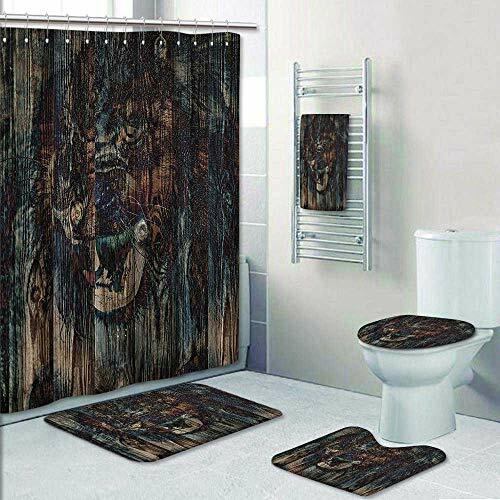 5 Pieces Bathroom Accessory Set:1Shower Curtain 72"x72"+1Bath Mats 31.5"x19.5"+1 Contour Rug 15.7"x19.5"+1 Lid cove1Bath 16" x 19.5"+1 Bath towel 55.1"x27.5";(Give 12 shower curtain metal hooks). If you have any questions about this product by Philip-home, contact us by completing and submitting the form below. If you are looking for a specif part number, please include it with your message.